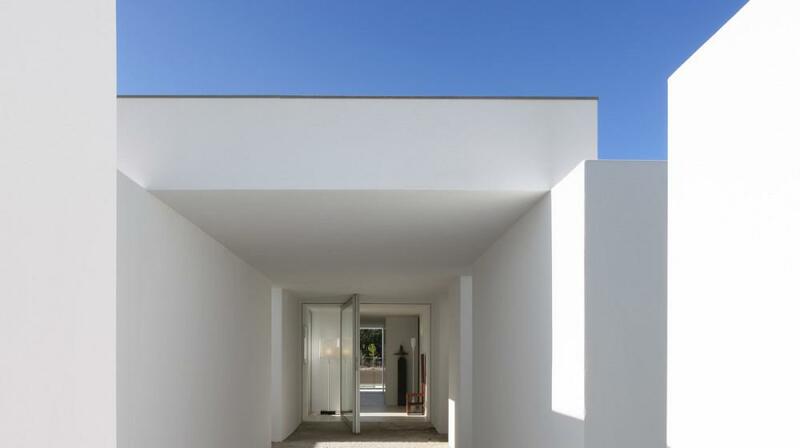 The architect Nuno Graça Moura integrated nature into his architecture and the result was a discrete house incorporated into its surroundings. 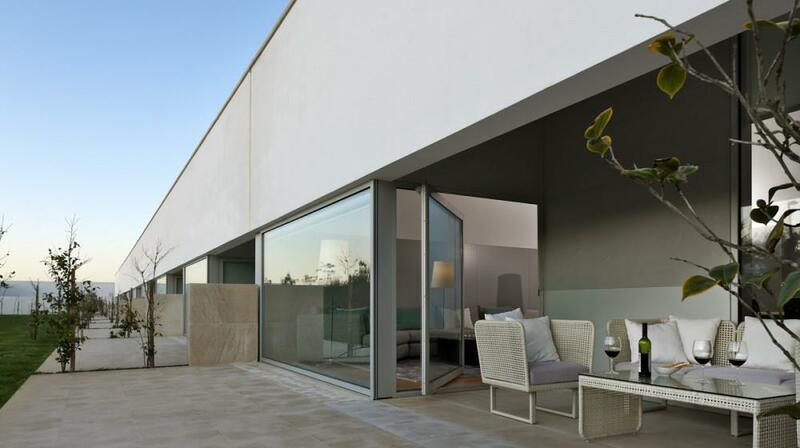 The house is designed with two floors, the entrance, WC, closet and a bedroom with a balcony are found on the found on the first floor, which also has access to level -1 where there is also access to the stairwell. 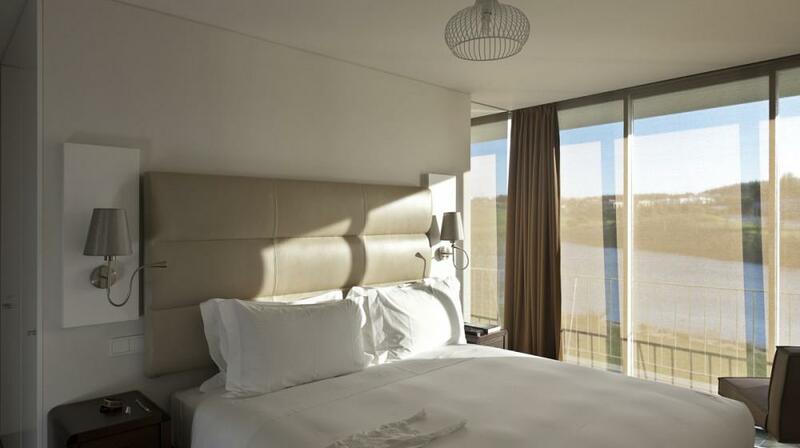 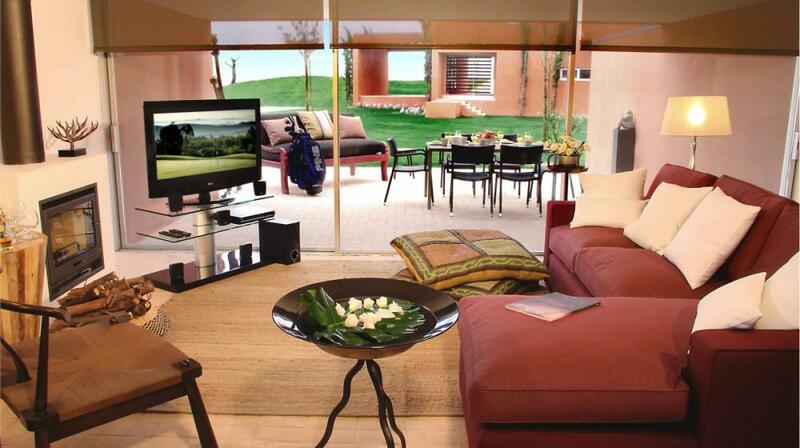 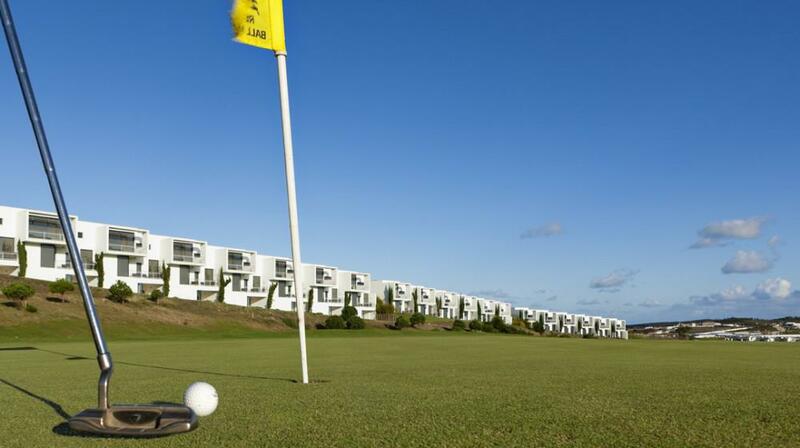 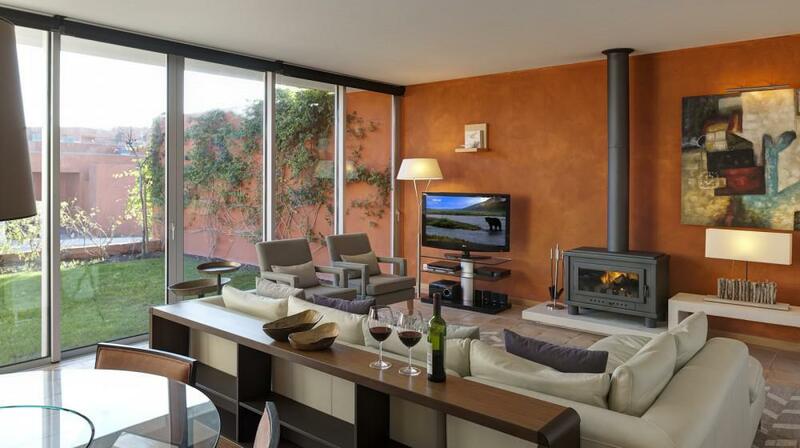 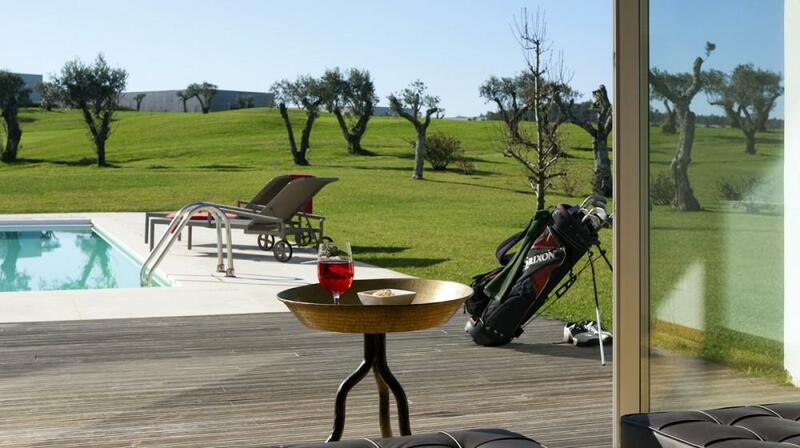 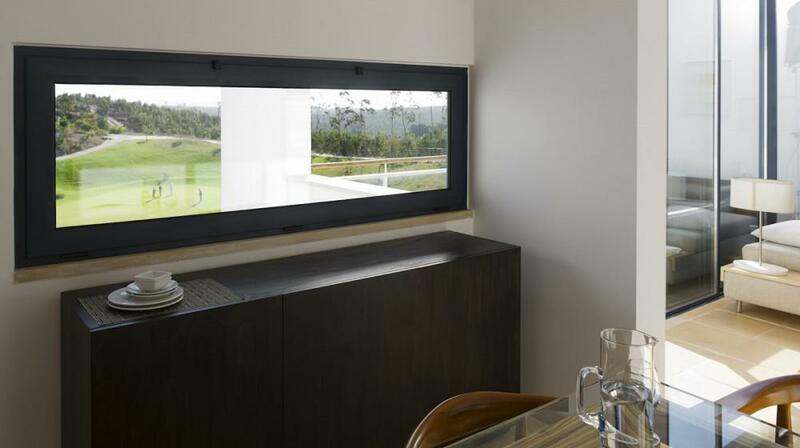 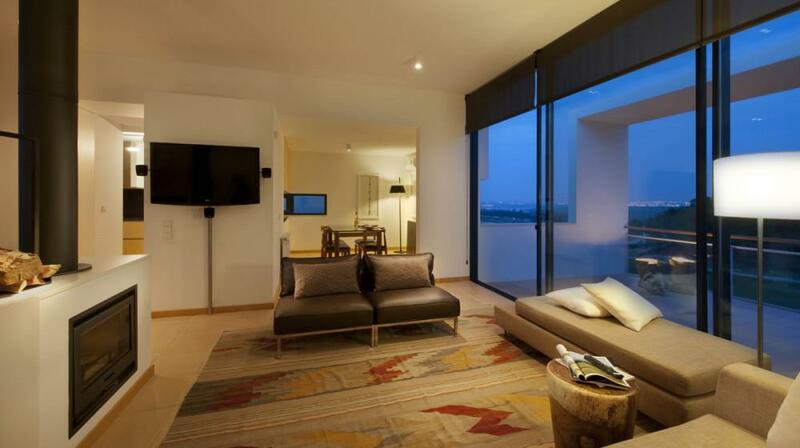 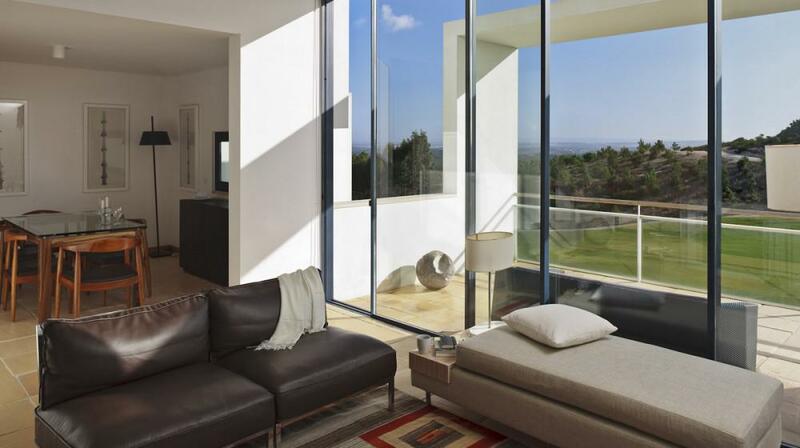 With an astonishing view, relax in the living room while watching a live round of golf. 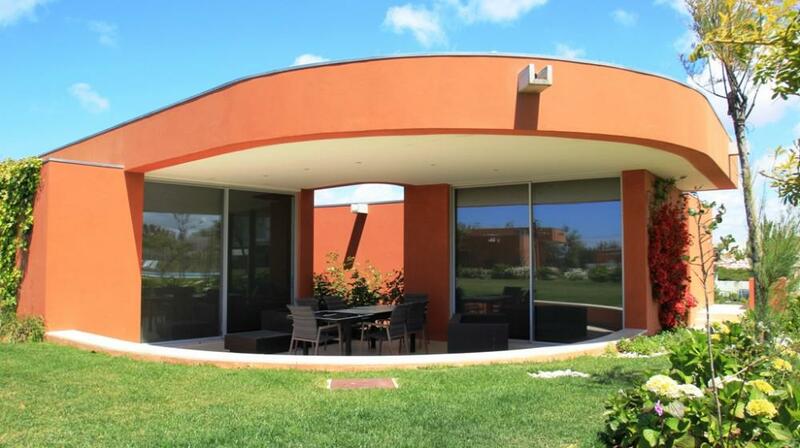 Take advantage of the direct link to the fully equipped kitchen, by preparing home-cooked meals, that can easily be taken to the entrance patio where you can enjoy your meal in the open air. 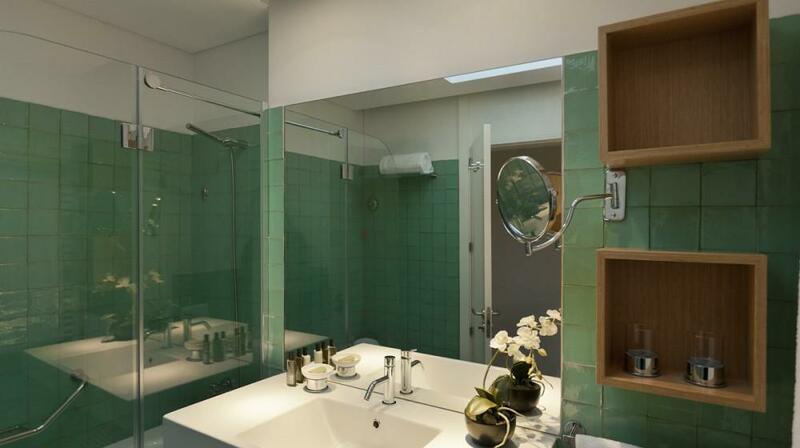 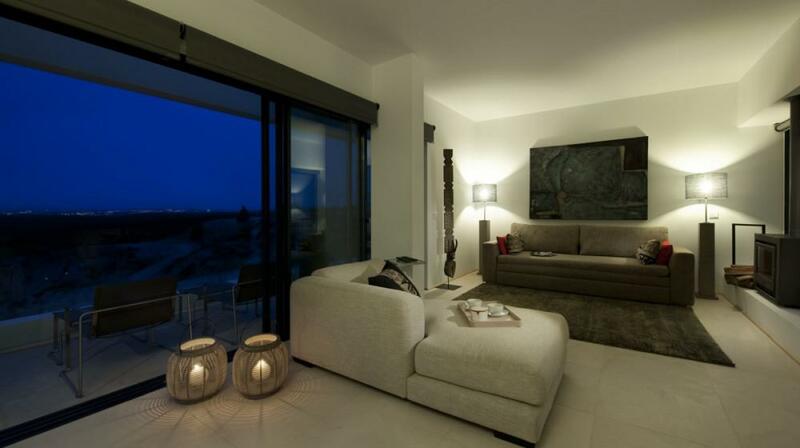 On the lower floor, a spacious and intimate suite invites you to relax with your other half. 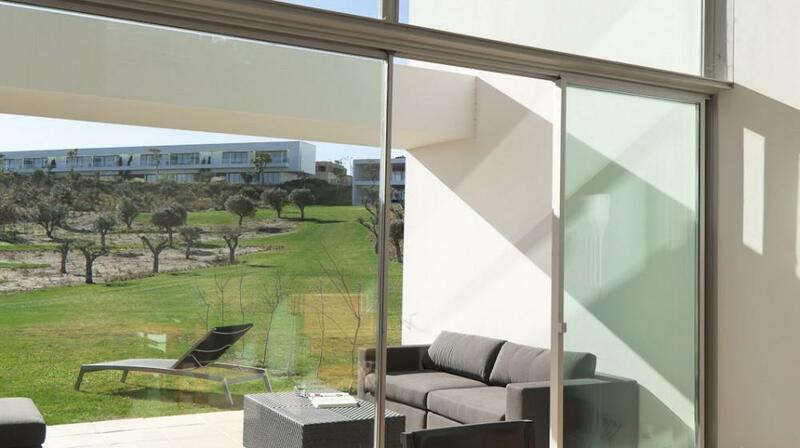 Open the windows in the morning and breathe the fresh, pure air. 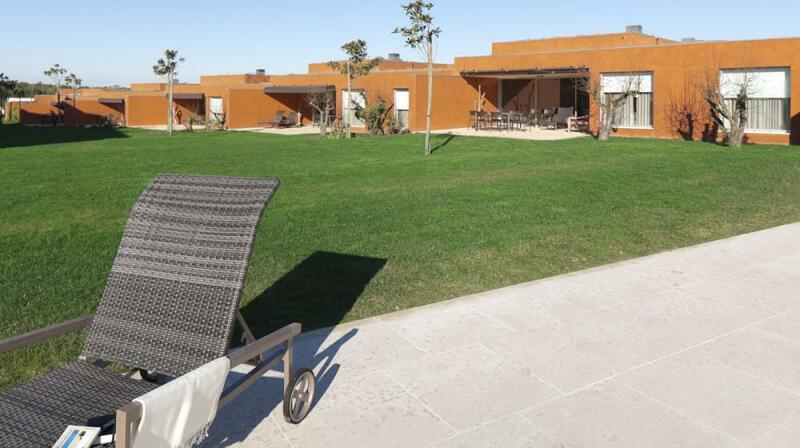 The path to the house gives access to an area for barbecues and a table for outdoor meals. 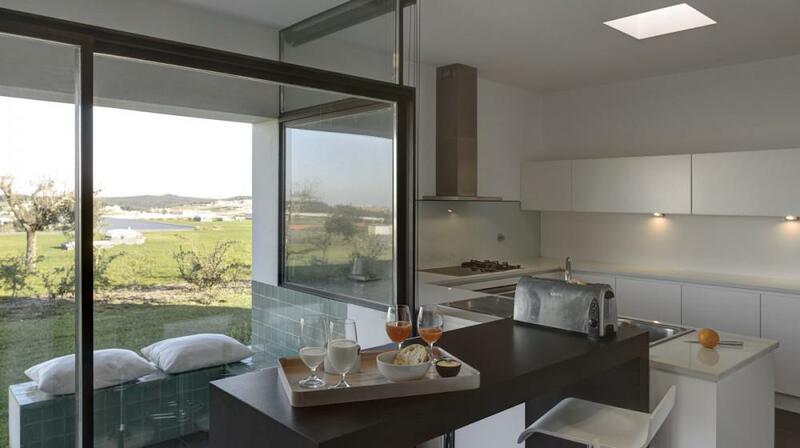 On the first floor of the completely equipped house you will find the kitchen, with all the necessary domestic appliances to make your holidays more comfortable, a living room connected to the dining room and a living room ready for those relaxing afternoons. 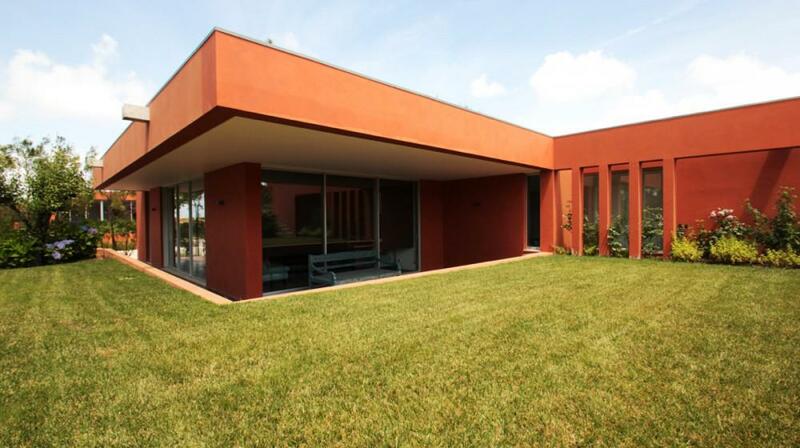 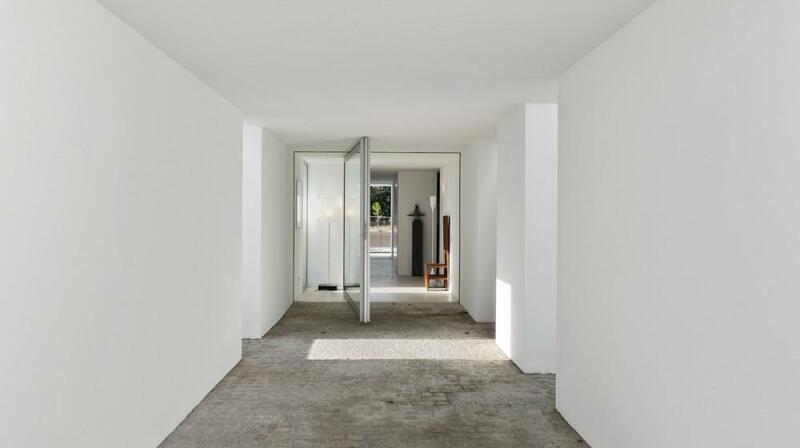 With a discrete entrance, architect Nuno Graça Moura’s creation makes us feel at home. 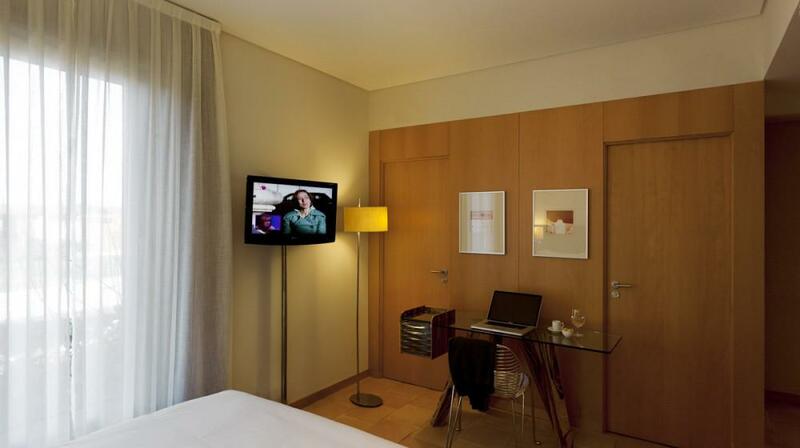 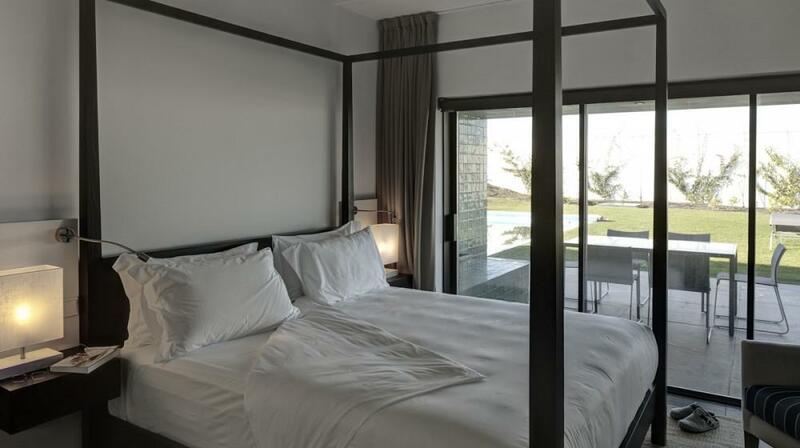 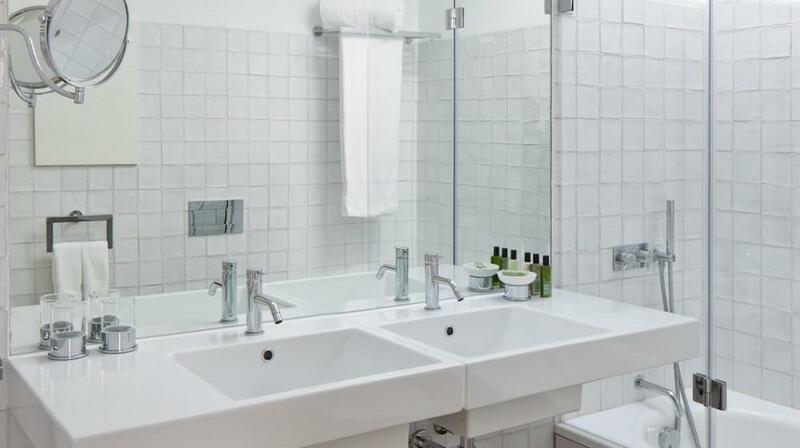 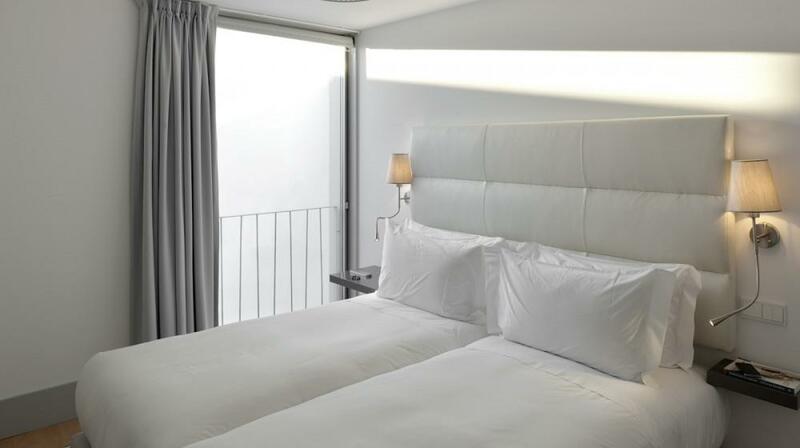 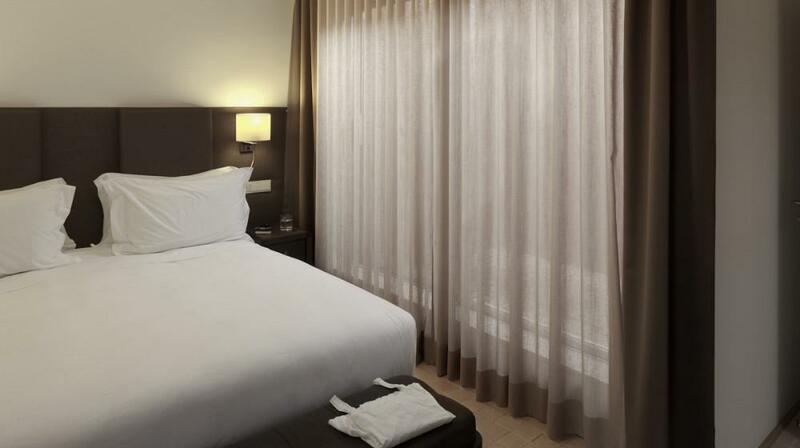 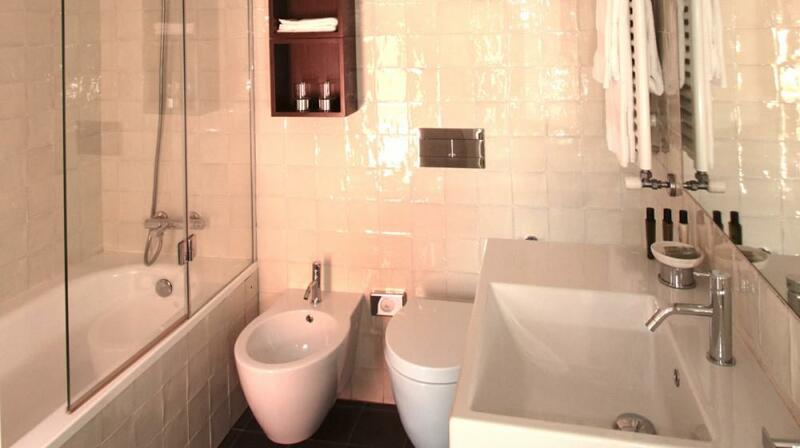 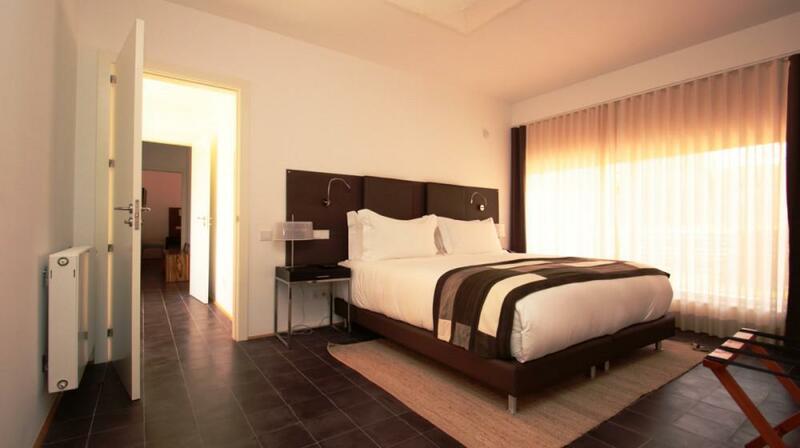 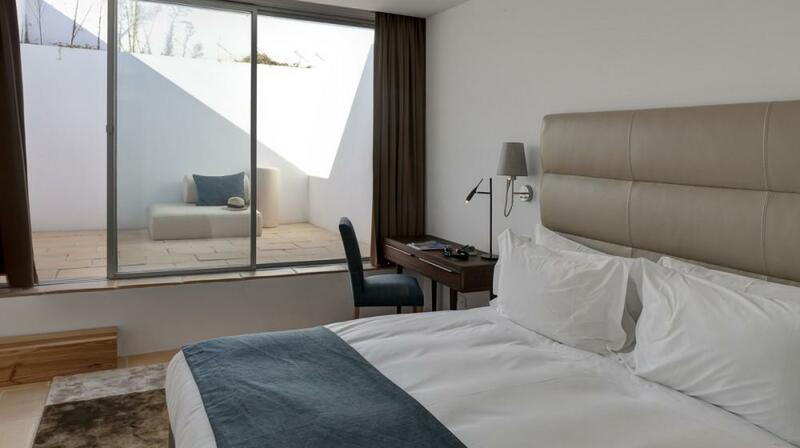 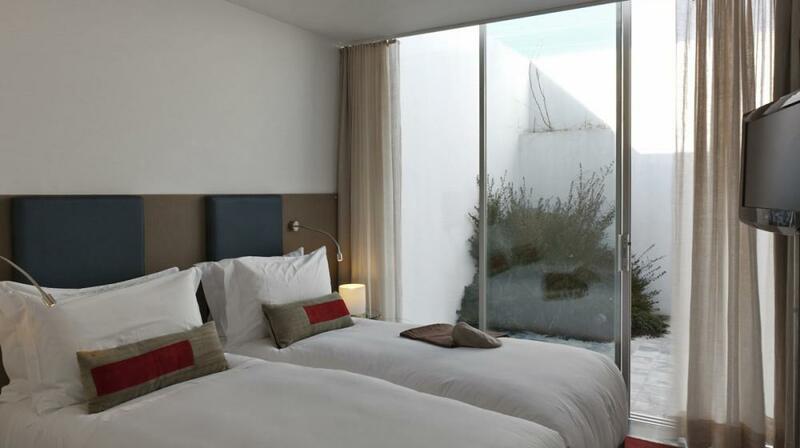 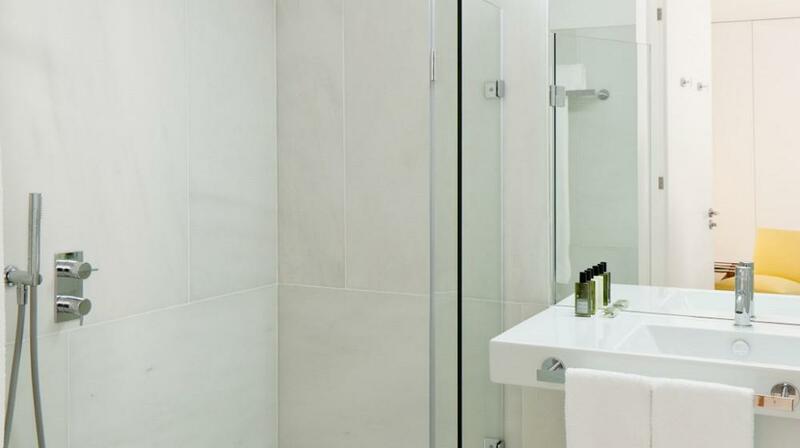 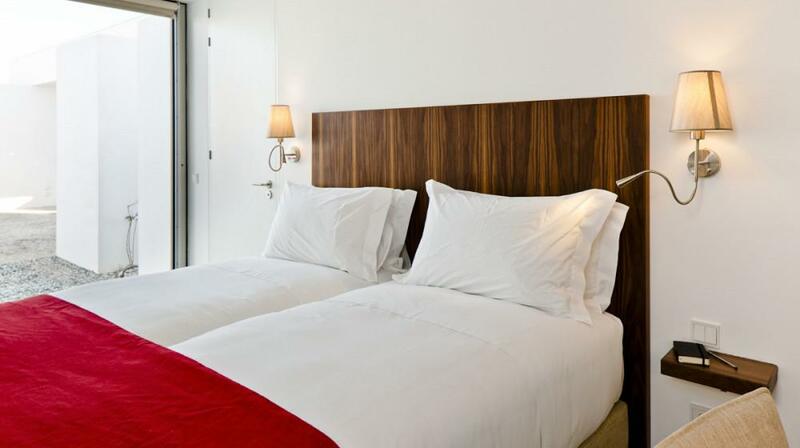 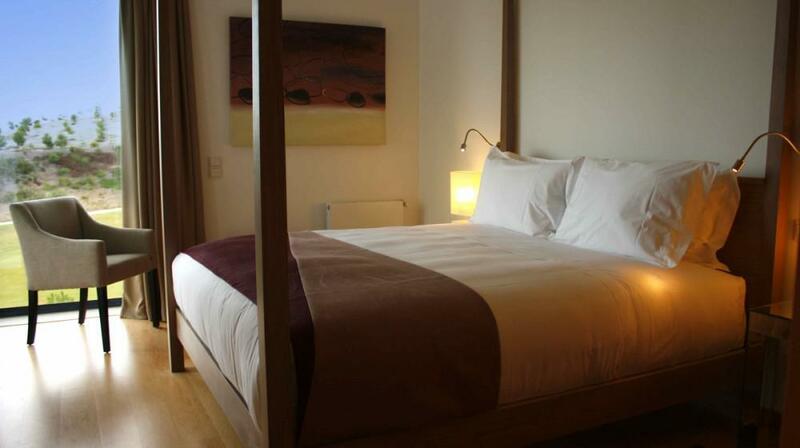 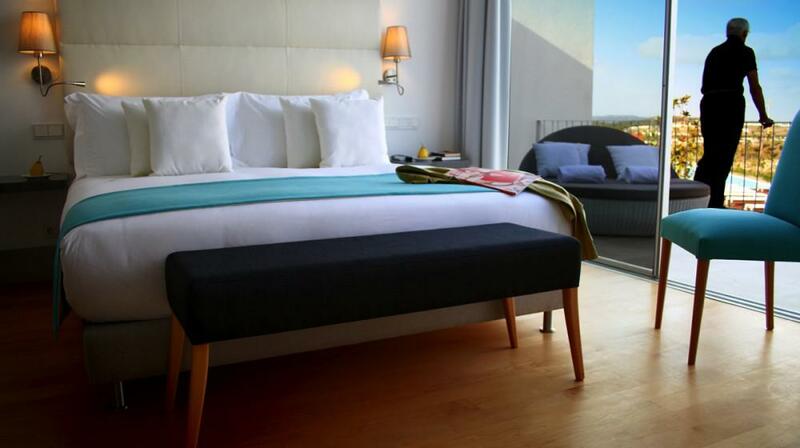 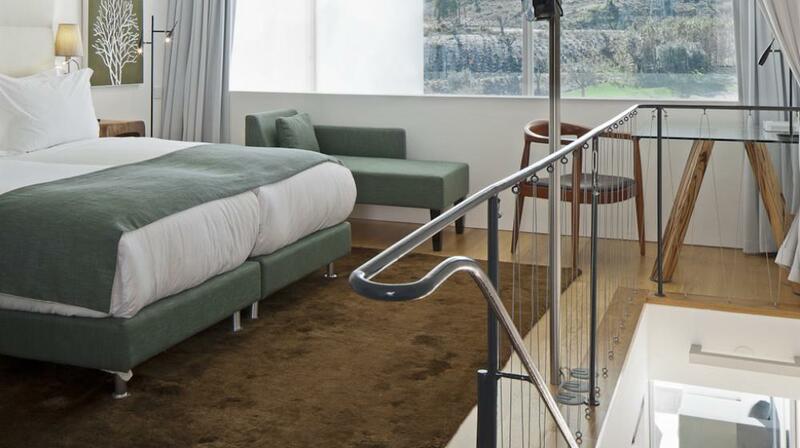 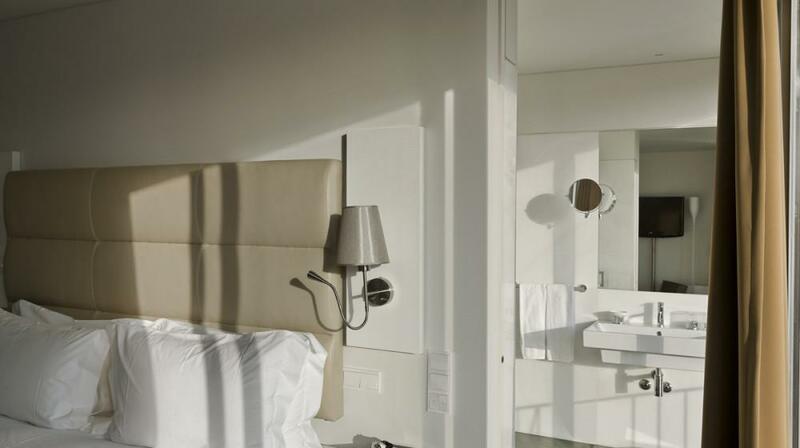 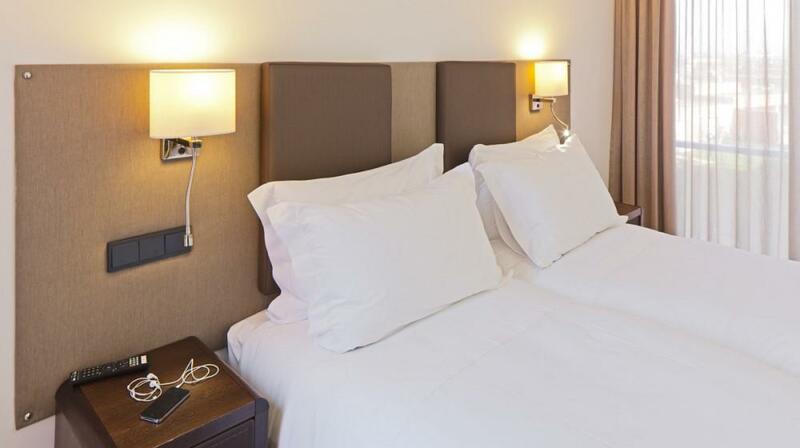 Next to the entrance, you will find simple lined but comfortable bedrooms with direct access to an intimate terrace. 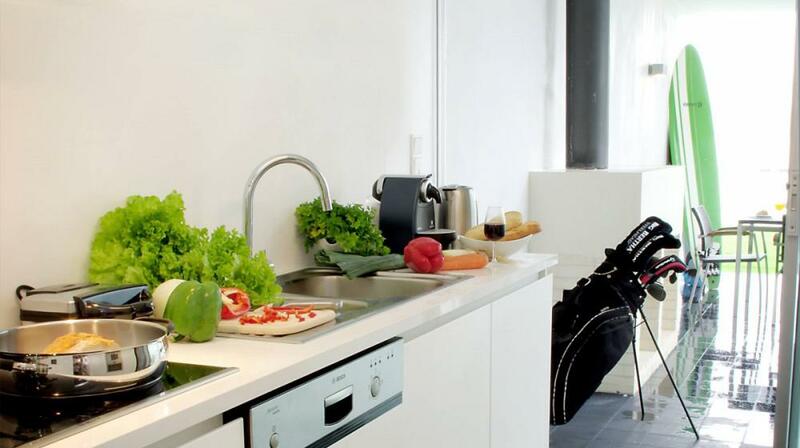 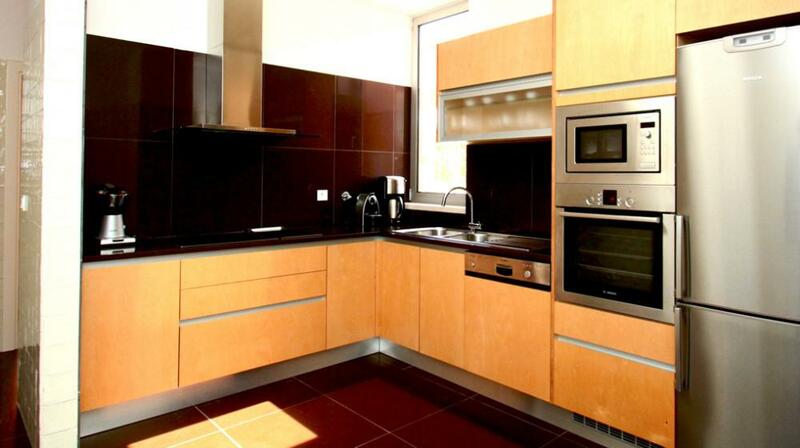 Further ahead the modern and appropriately equipped kitchen invites you to a home-cooked meal to be enjoyed under the sun. 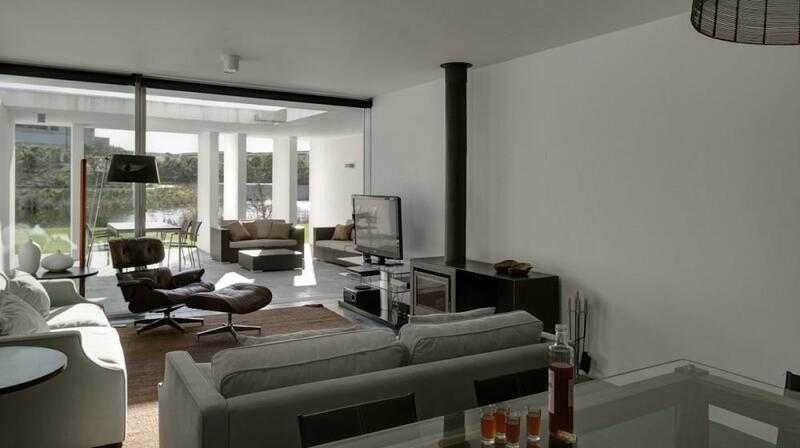 The covered car park provides easy access to the house and the private terrace where you can enjoy meals outside under the stars. 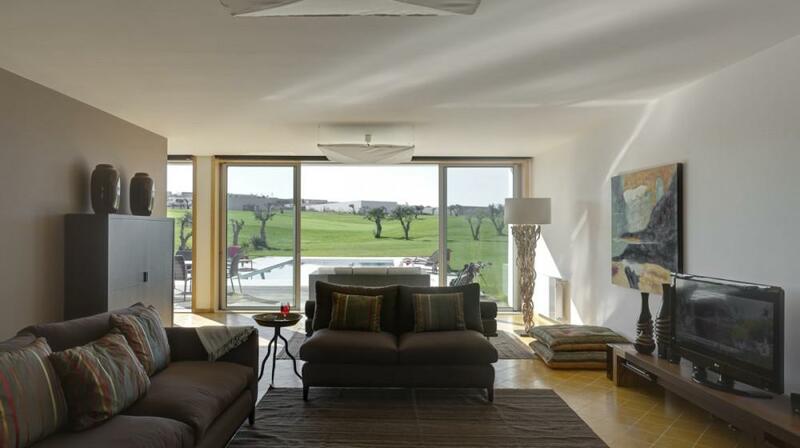 The Villa will seduce you through its strategic divisions, simple and modern decoration and its spacious areas which are always illuminated with natural light. 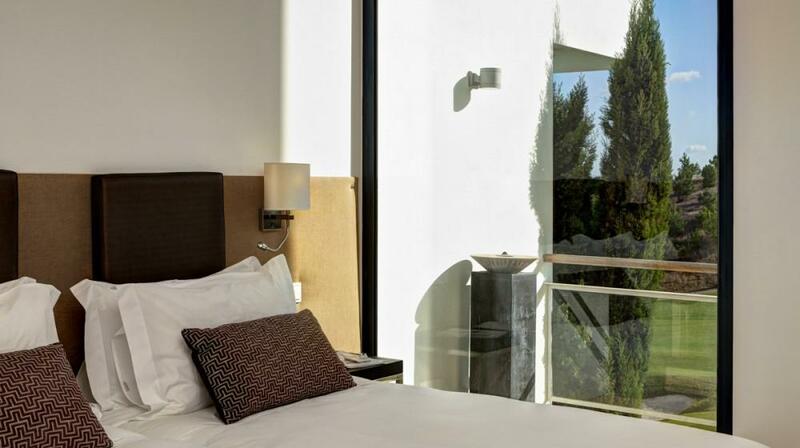 Relax in one of the three spacious bedrooms, with private bathrooms, and wake up to the sun shining through the large windows and the wind blowing in through the terrace door. 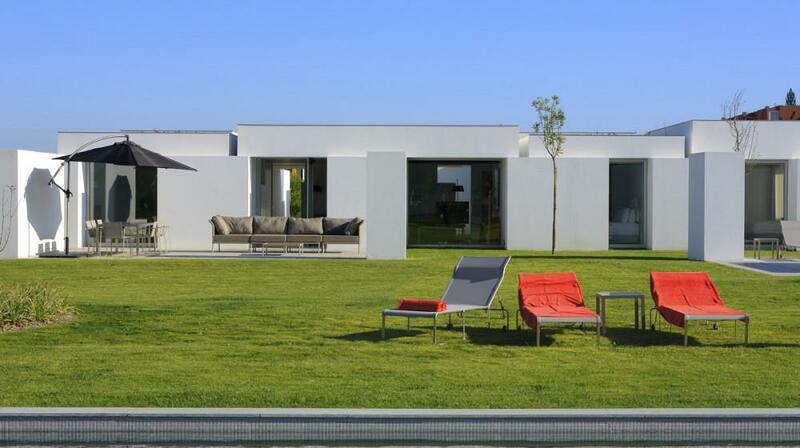 We propose four different typologies according to the specificity of each programme and allotment. 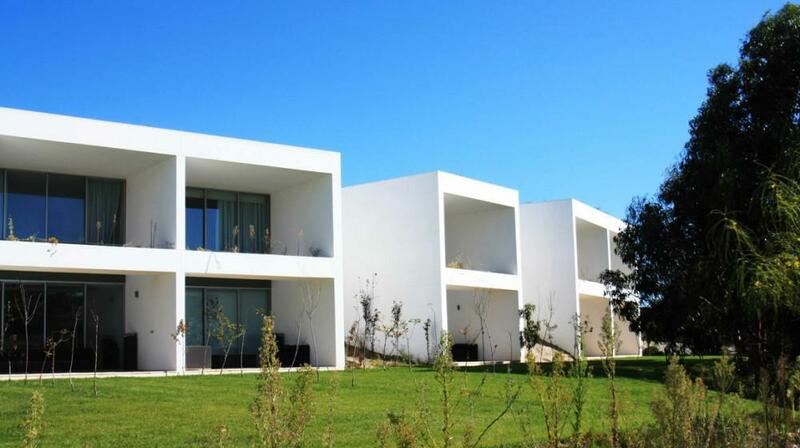 The houses are perpendicular to the access roads. 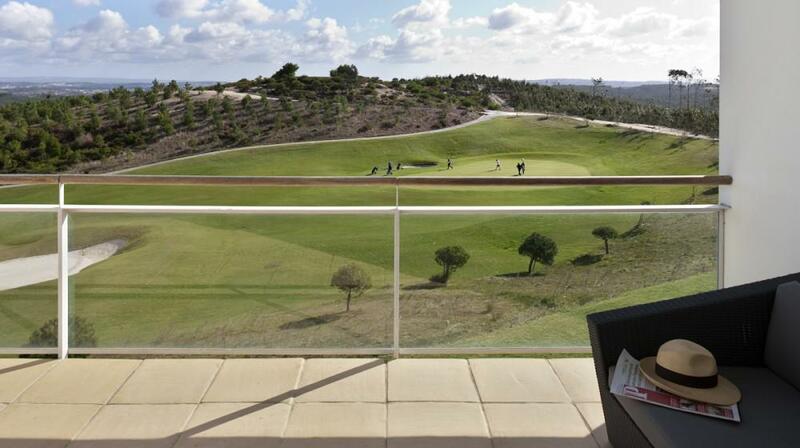 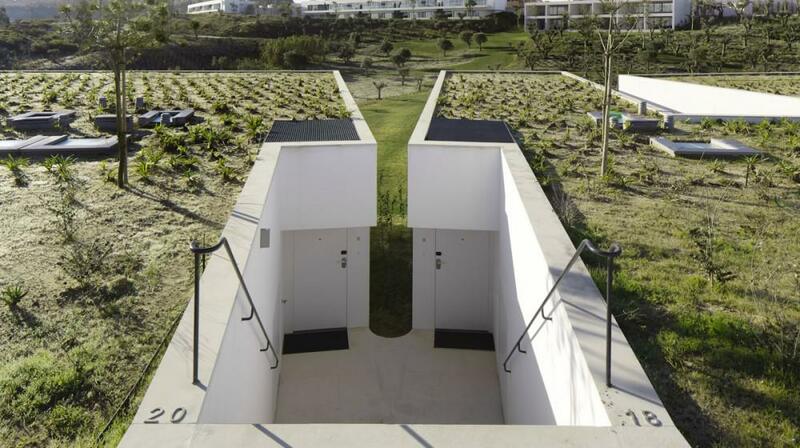 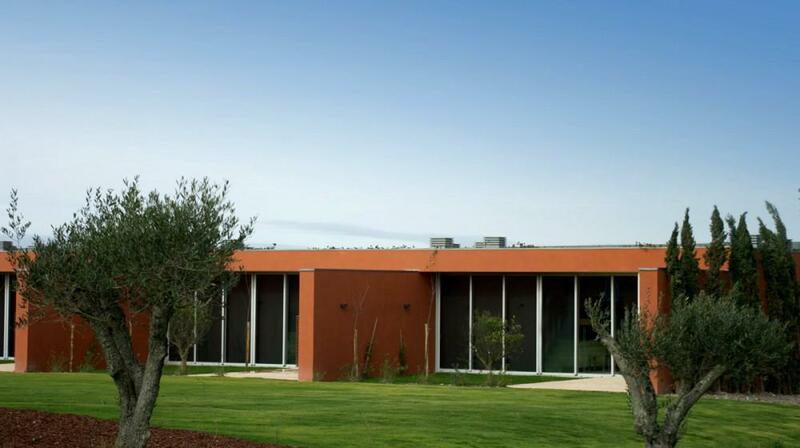 Set into the hillside, monolithic masses open up to the garden and overlook golf course and sea to the west. 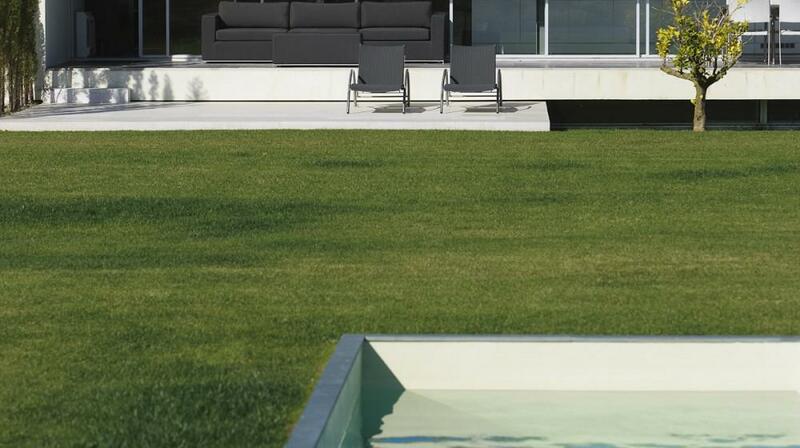 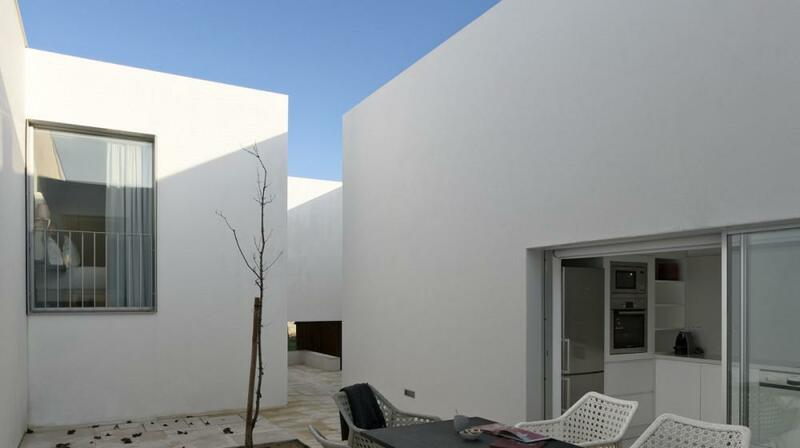 Interior courtyards fulfil the needs for lighting and privacy in several areas. 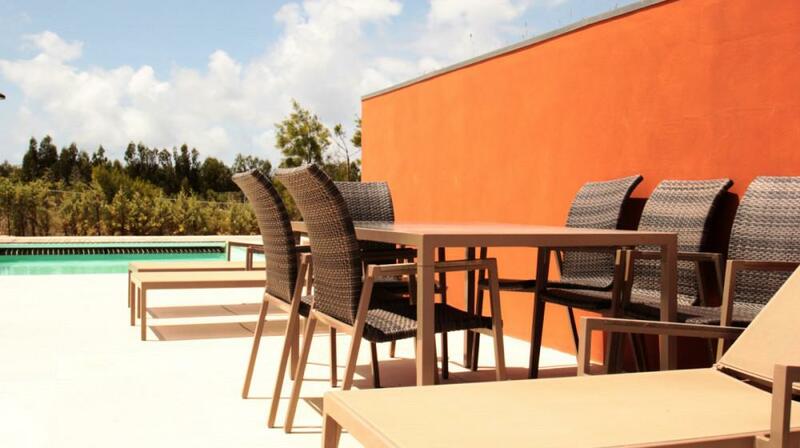 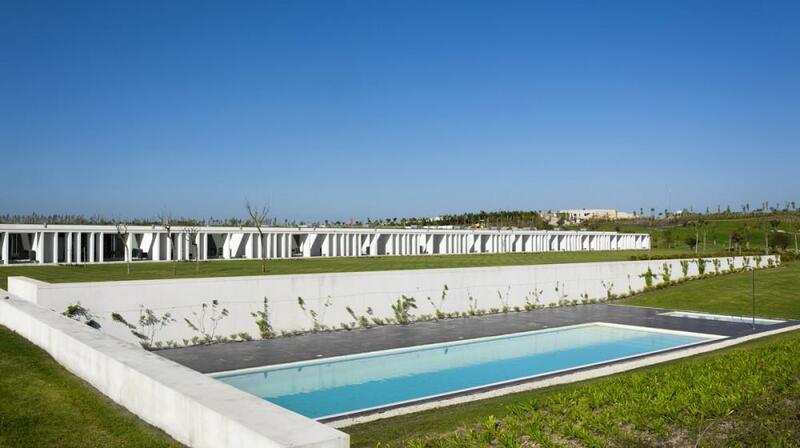 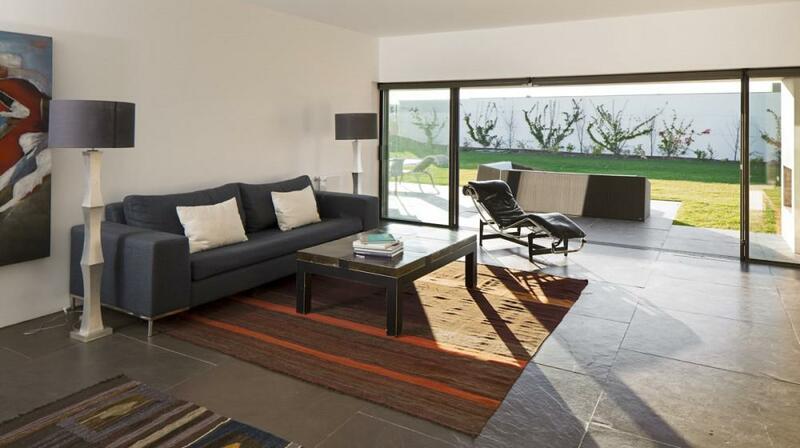 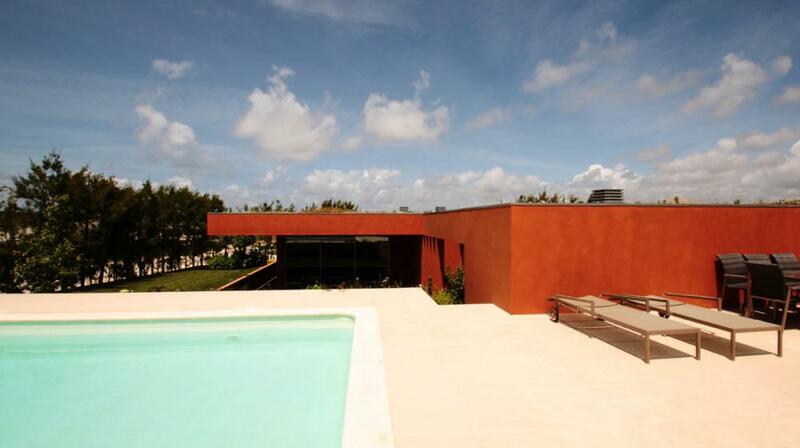 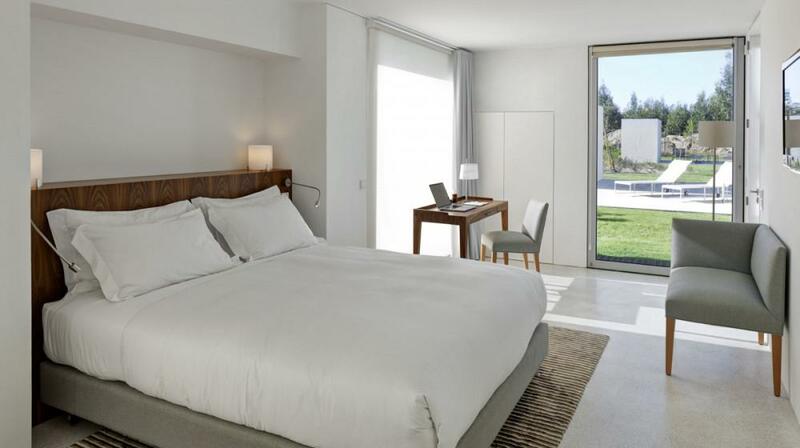 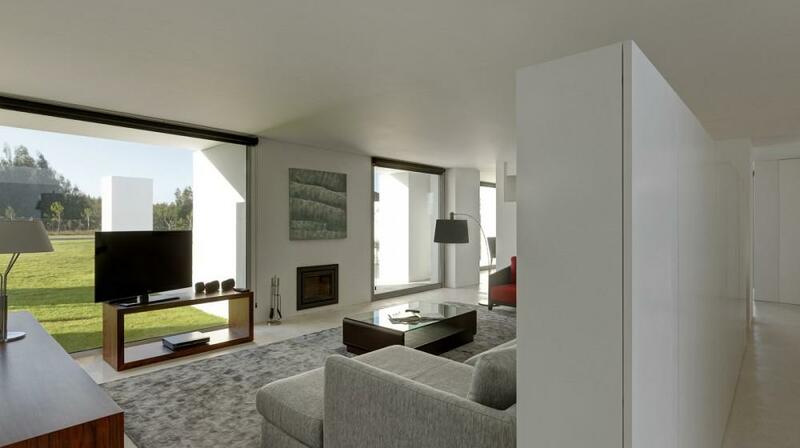 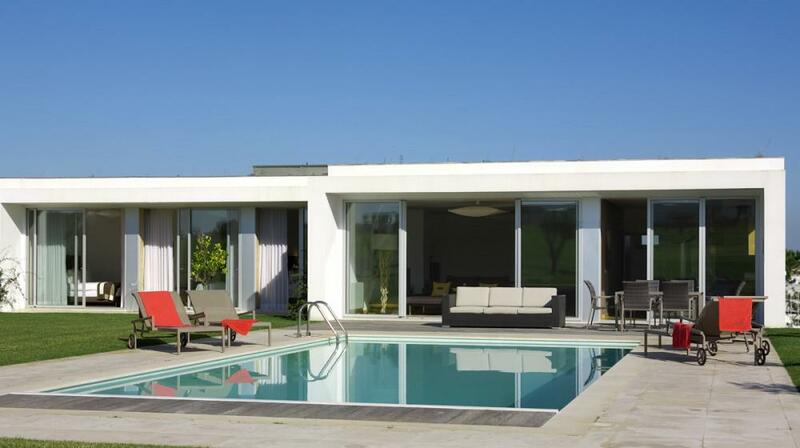 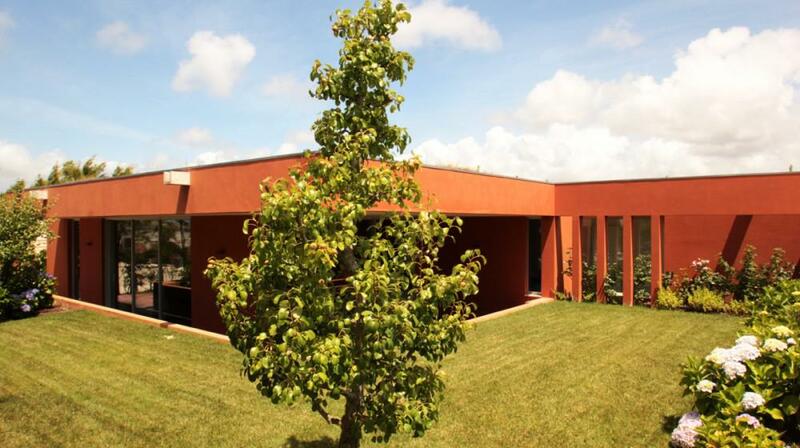 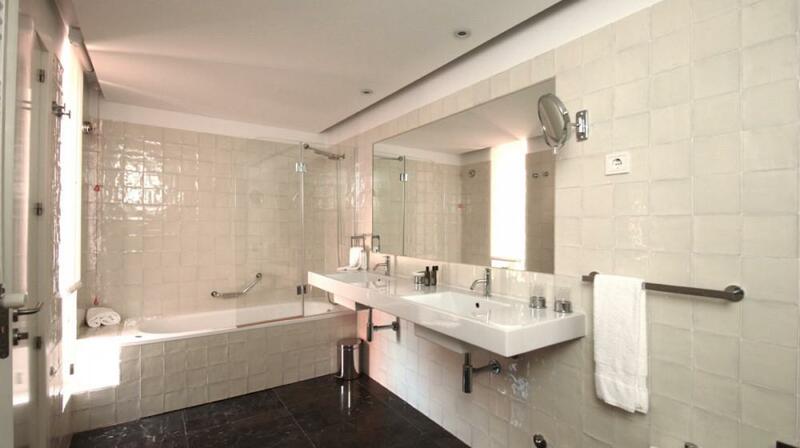 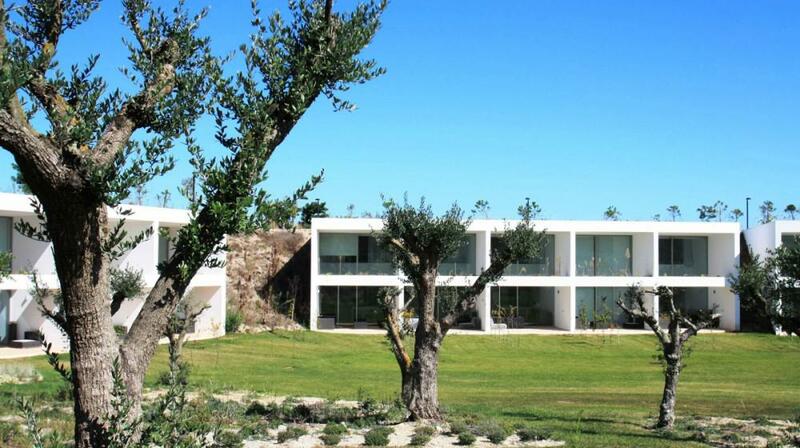 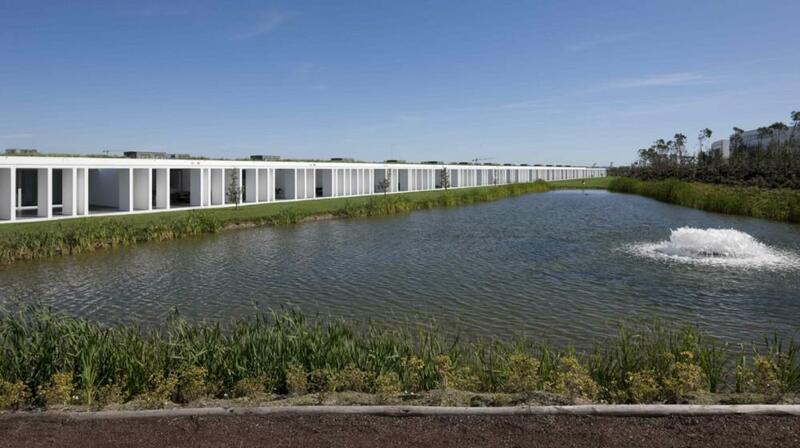 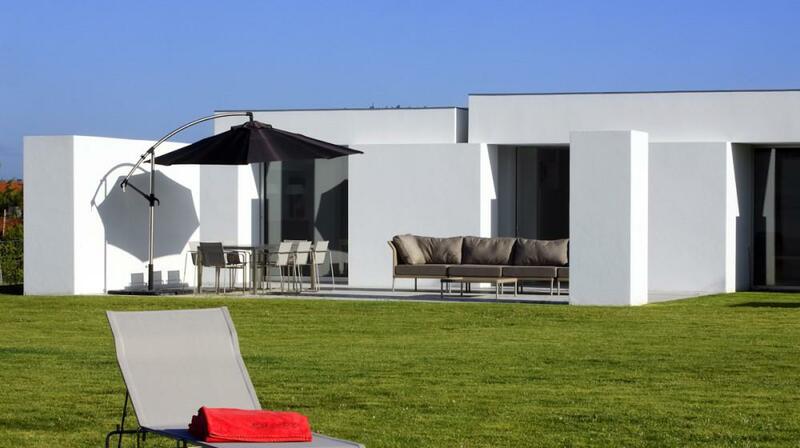 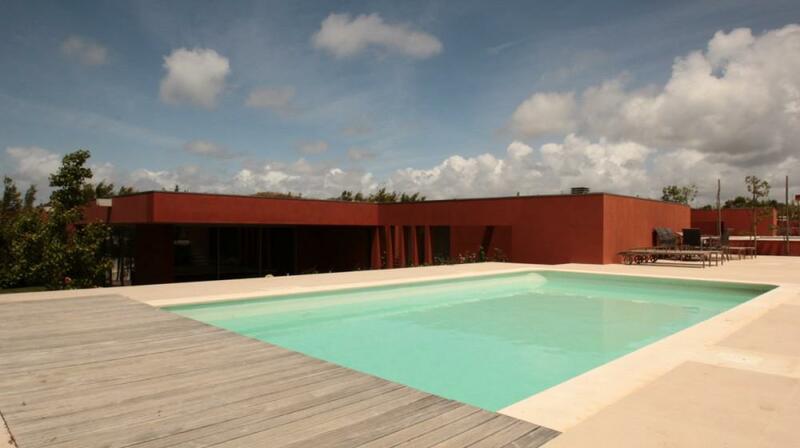 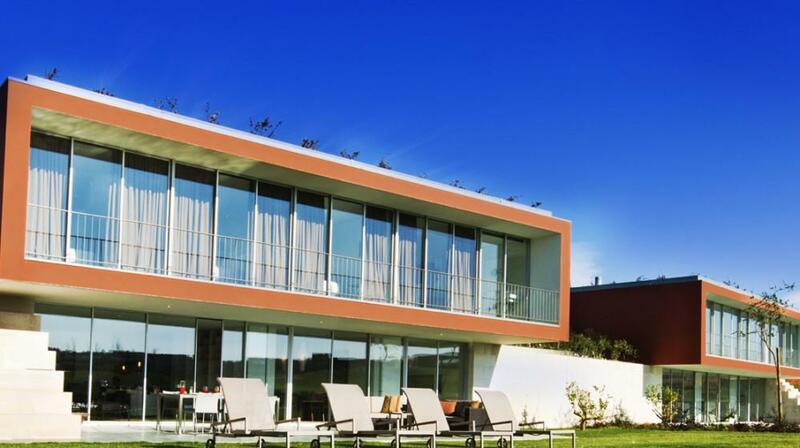 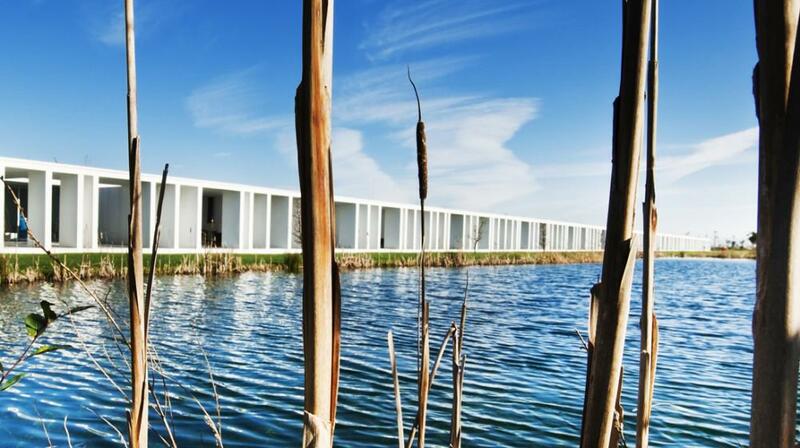 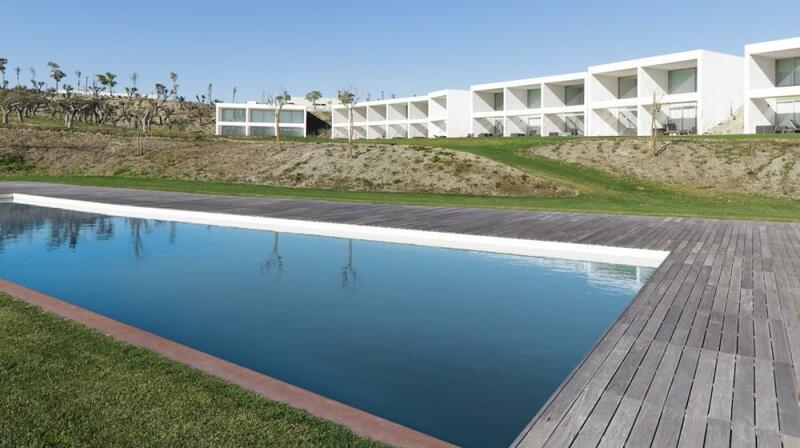 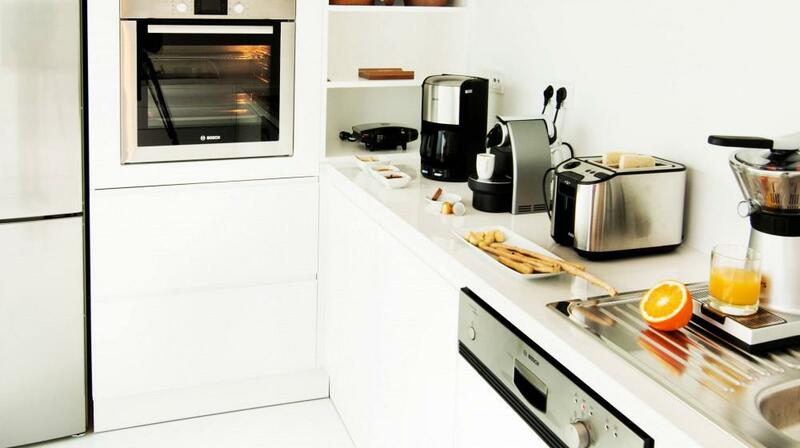 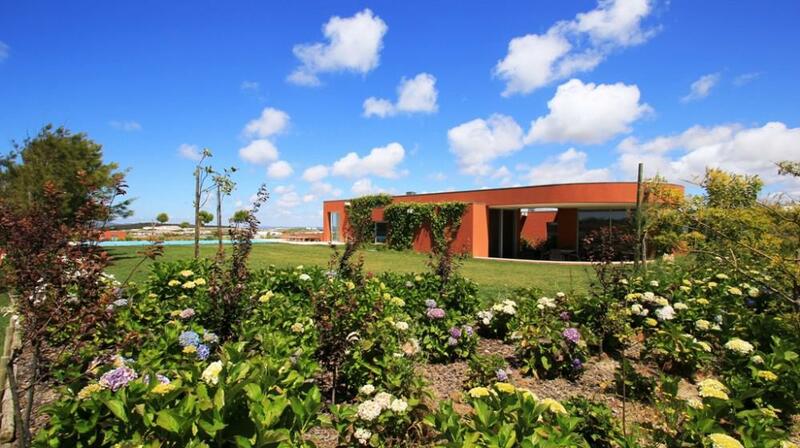 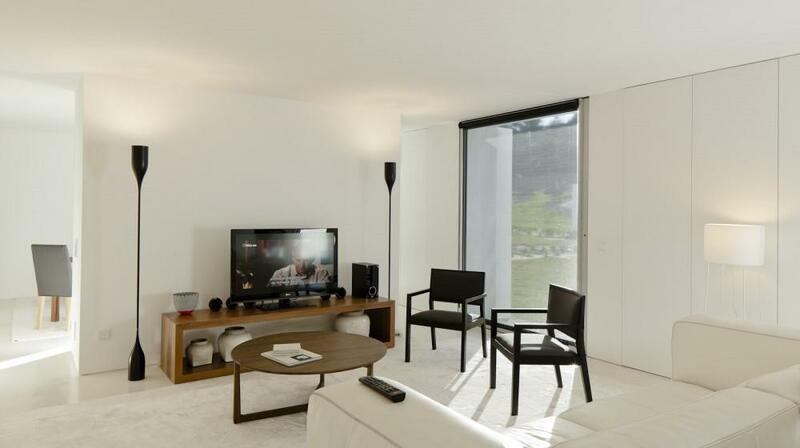 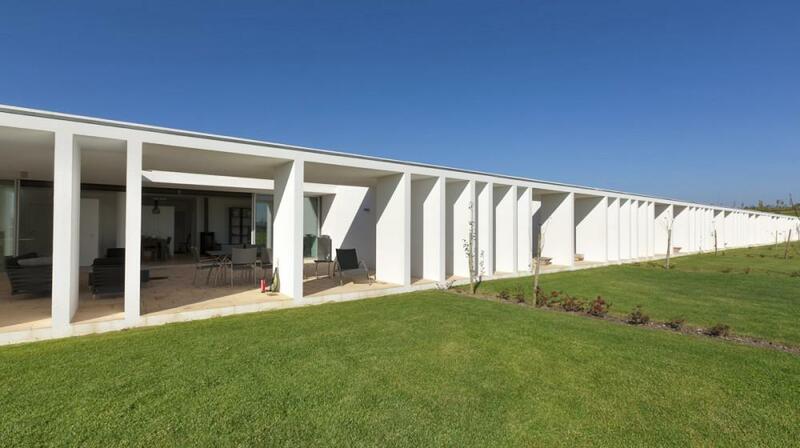 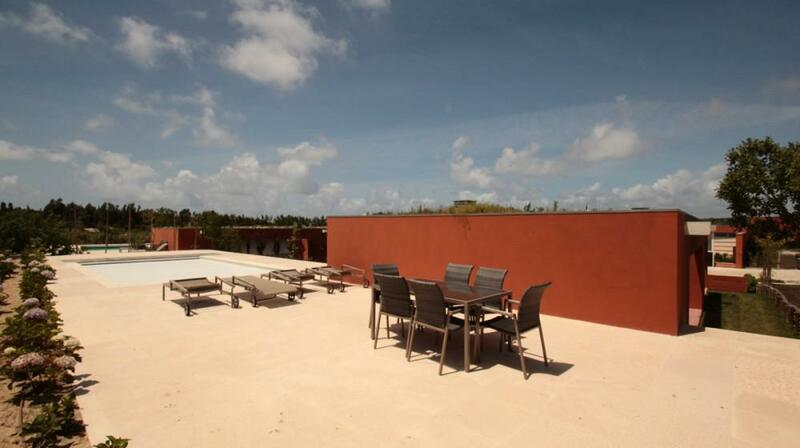 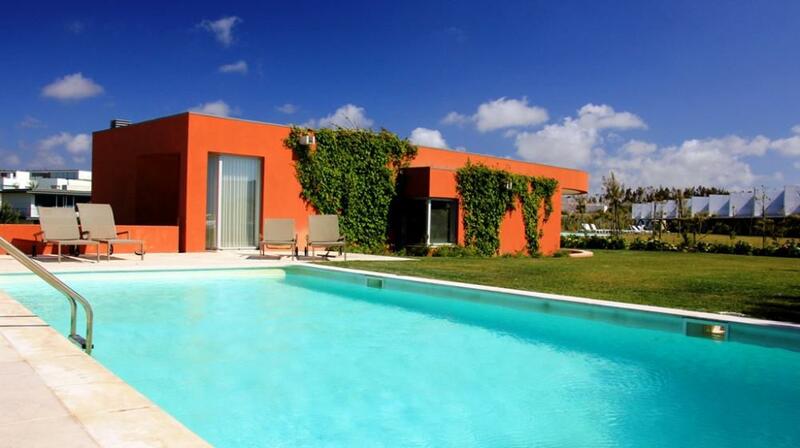 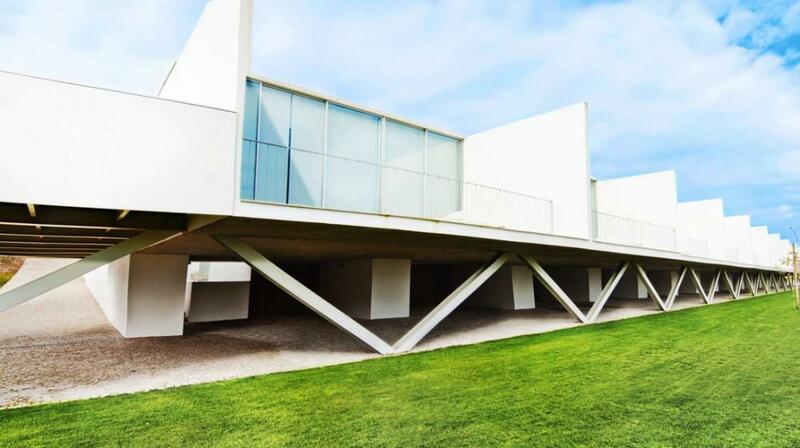 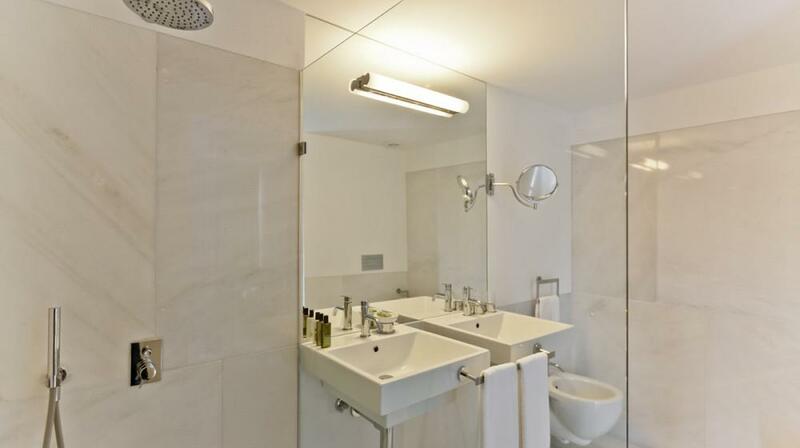 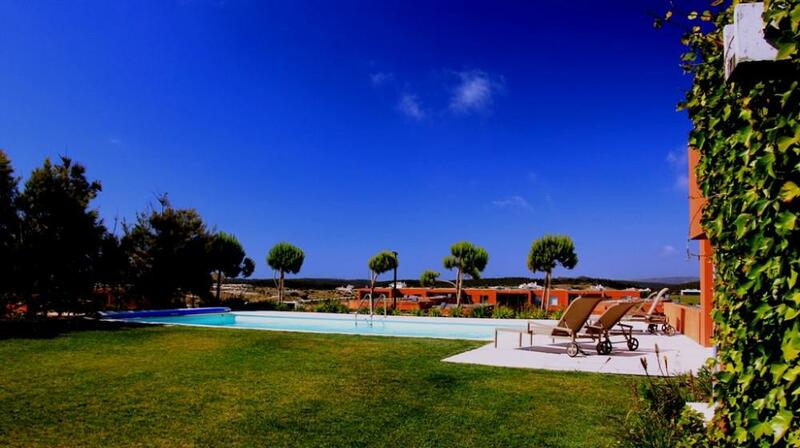 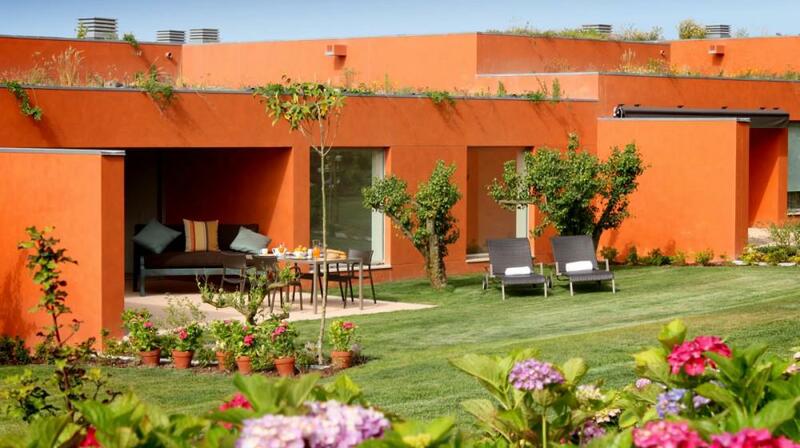 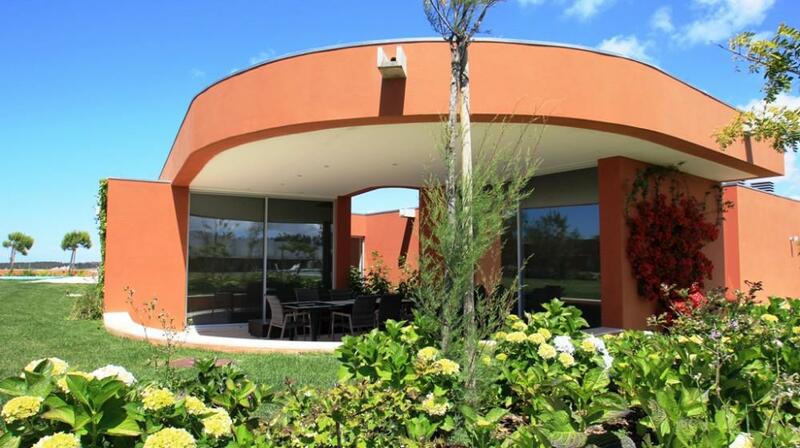 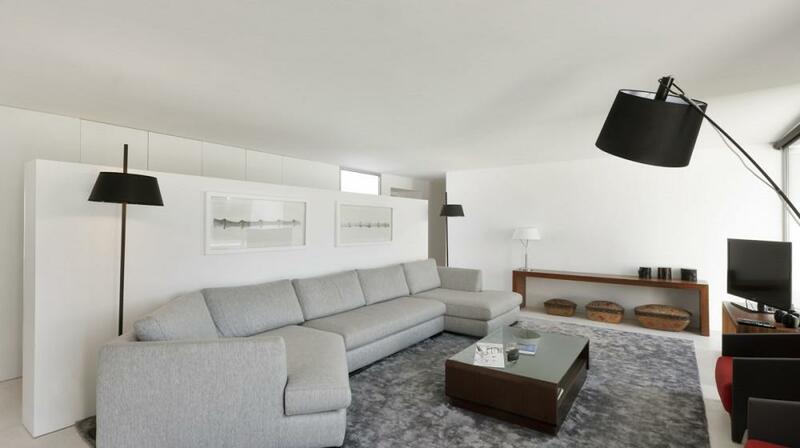 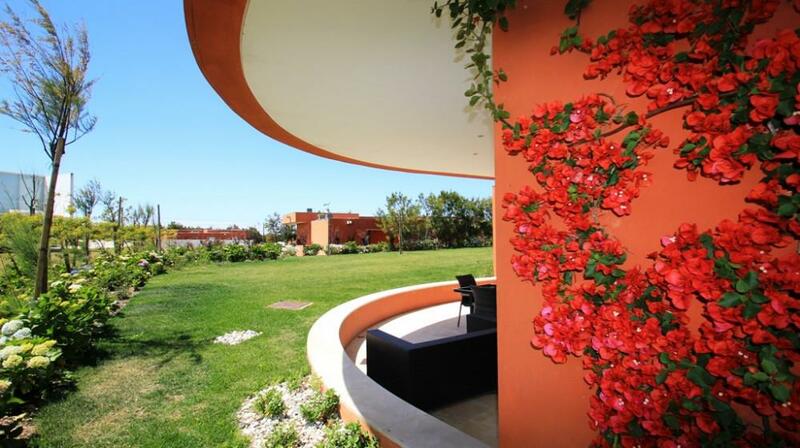 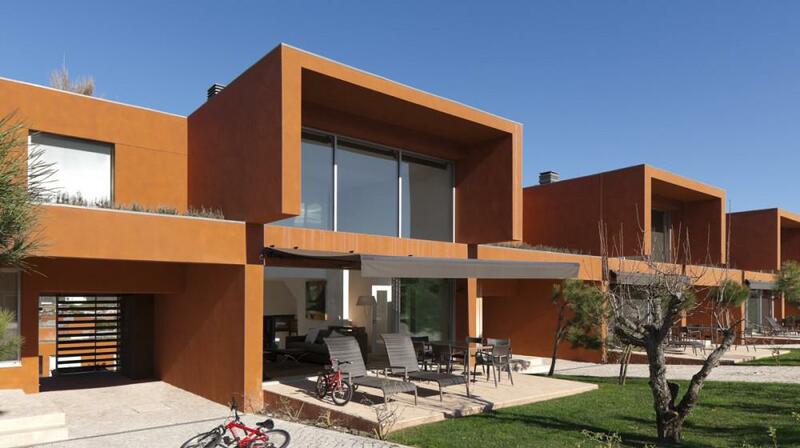 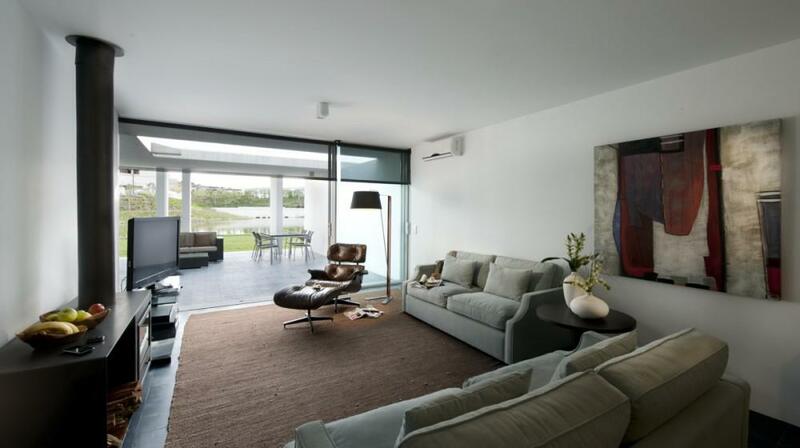 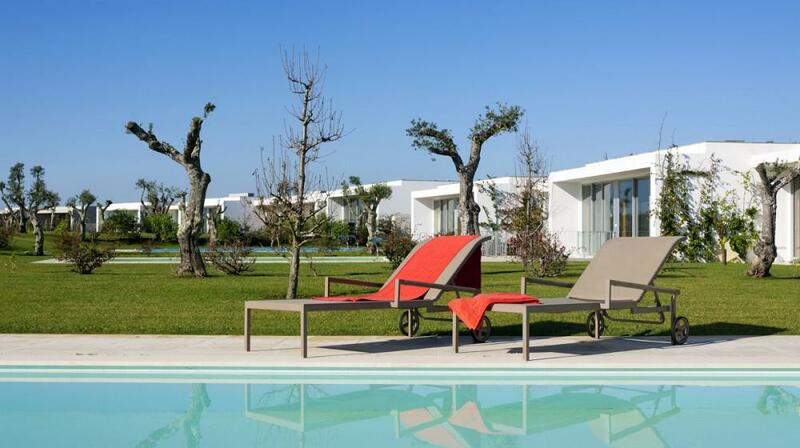 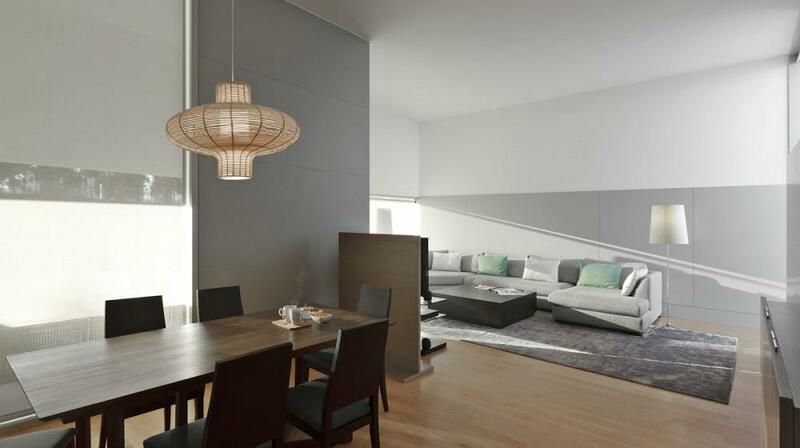 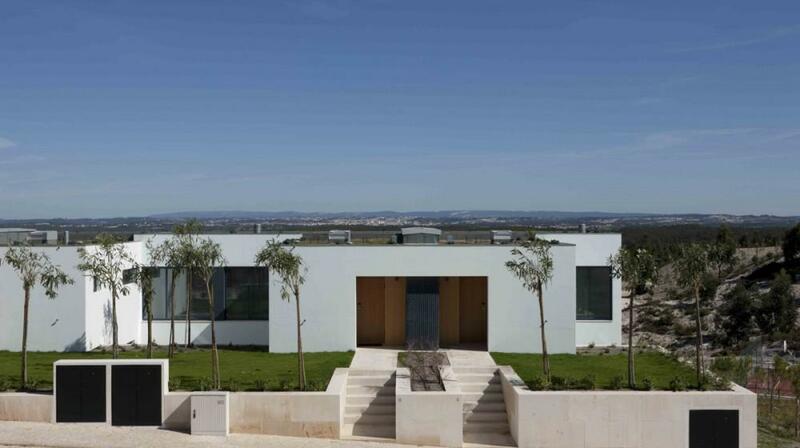 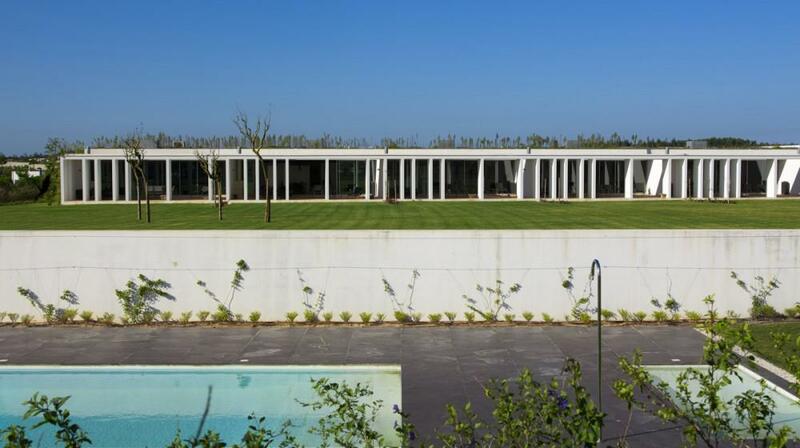 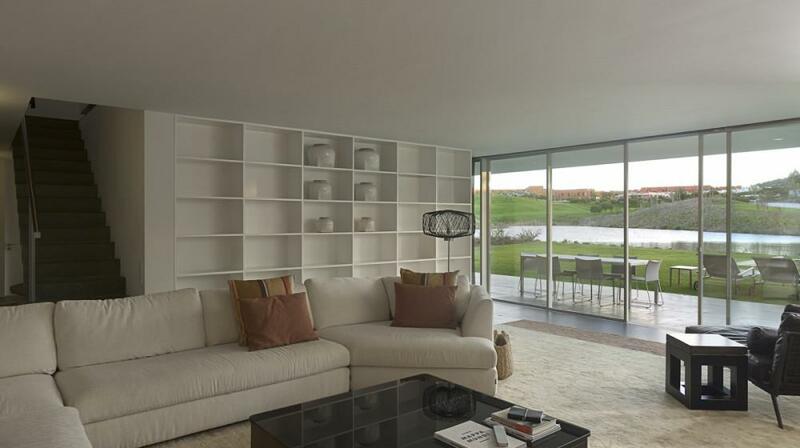 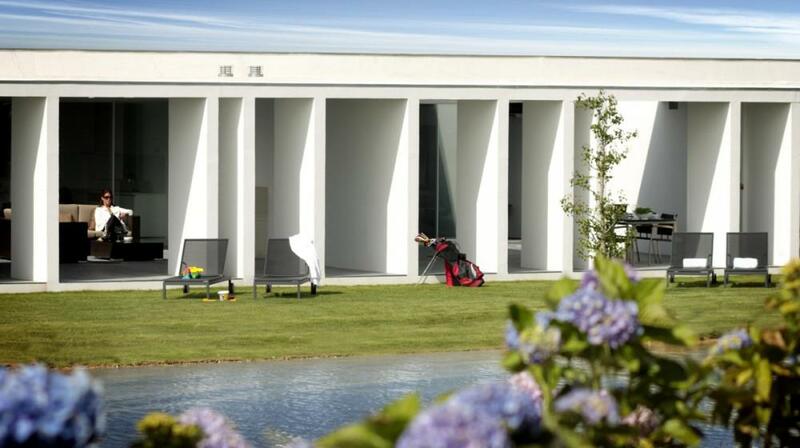 The luxurious white villa designed by Manuel Aires Mateus provides you with restful yet fun holidays. 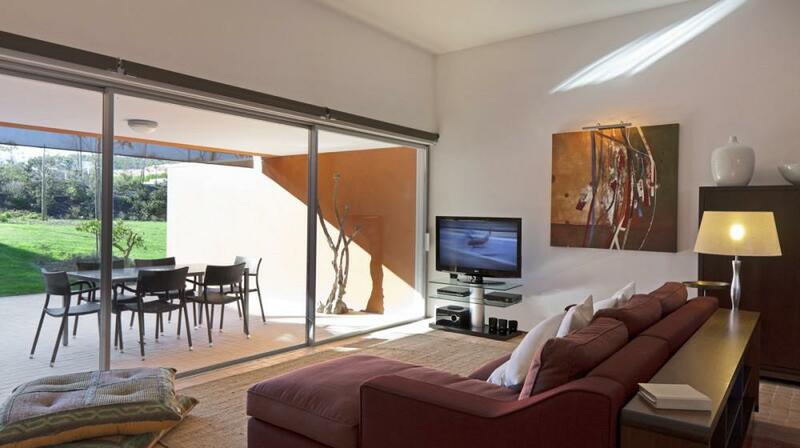 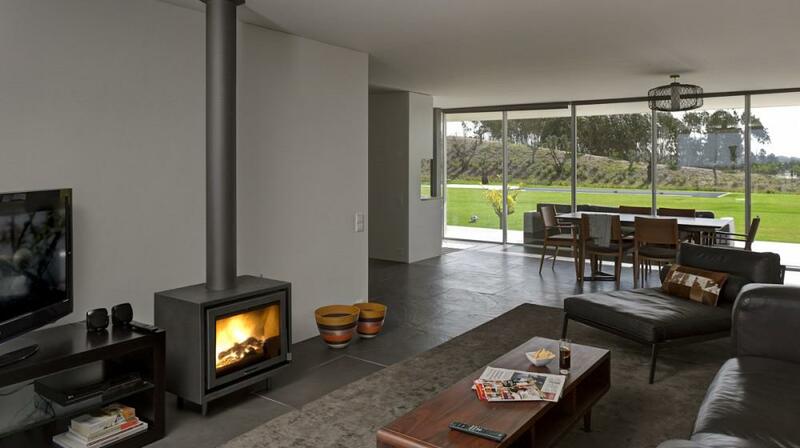 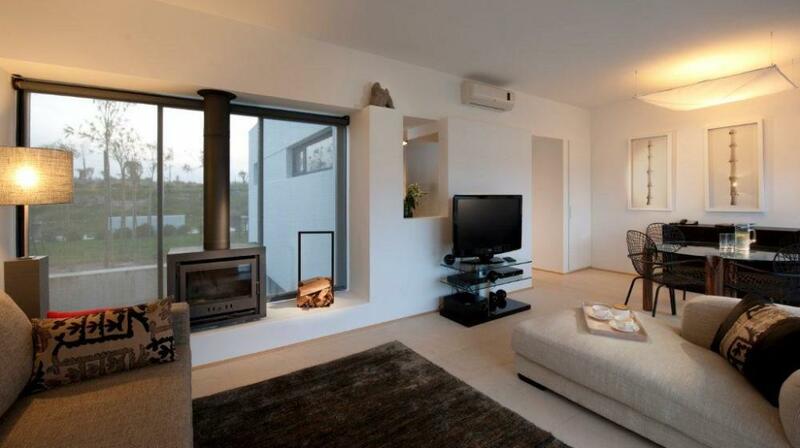 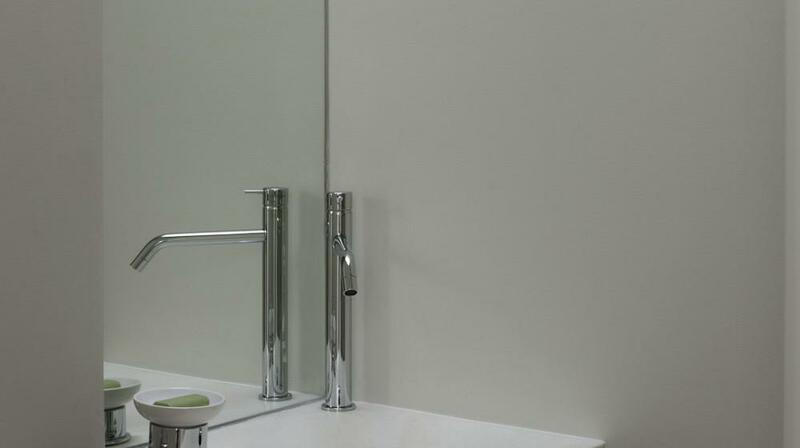 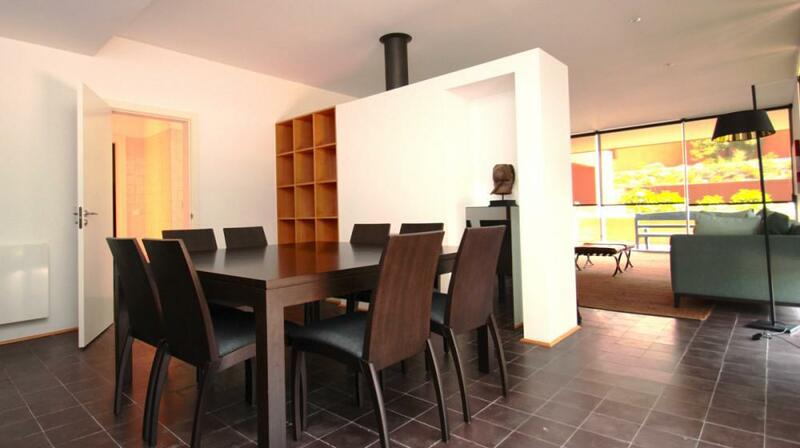 The spacious house welcomes big social events with family or friends. 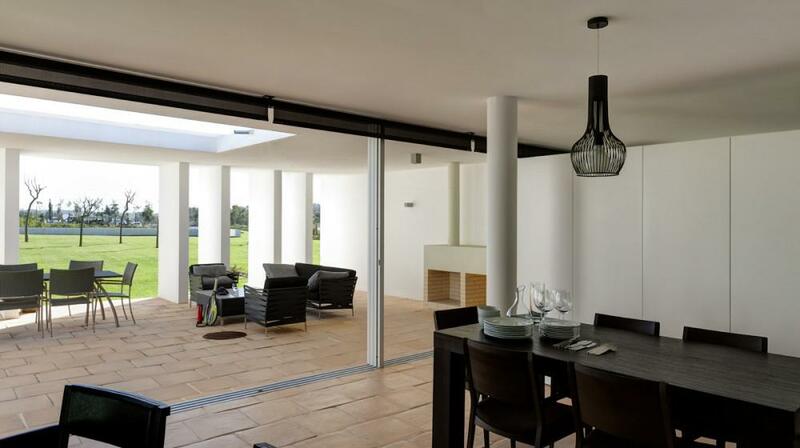 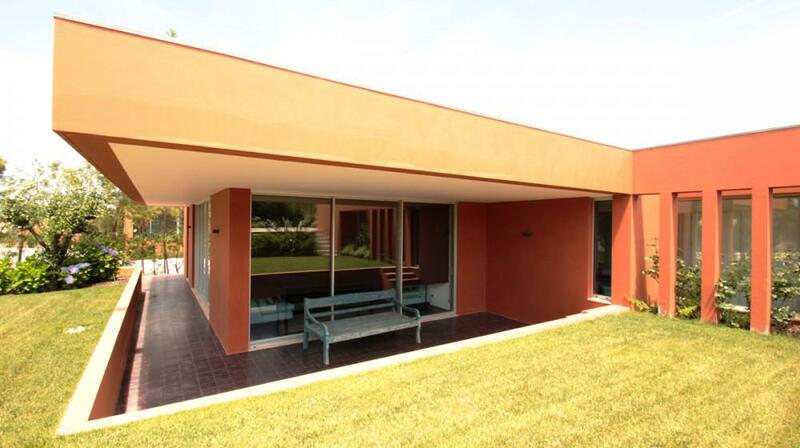 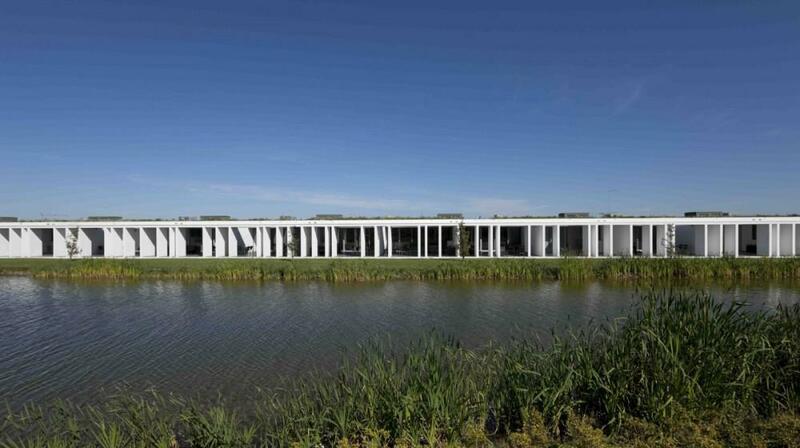 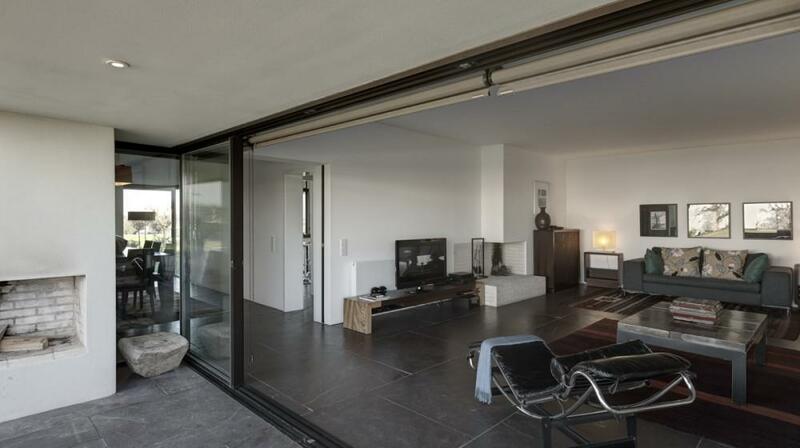 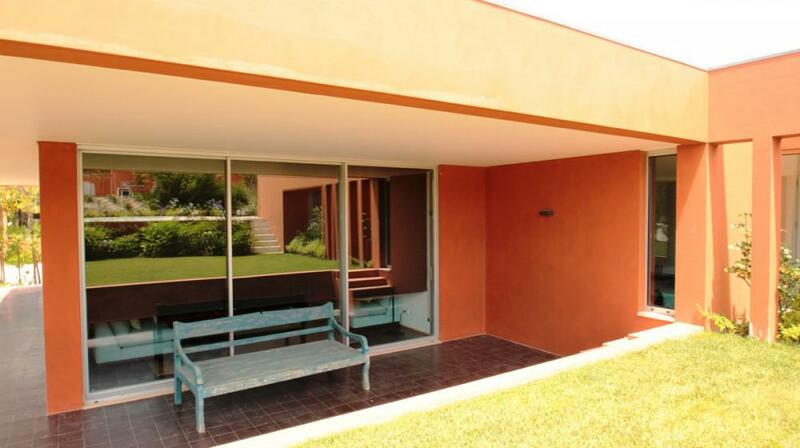 The large glass window which serves as the entrance door illuminates the minimalistic hall. 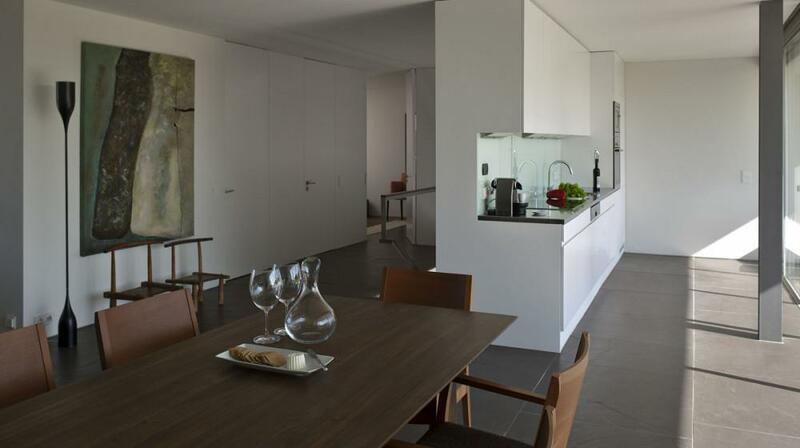 Upon entering the house you will find the fully equipped kitchen to create your favourite dishes that can be served in the next room, the dining room.